We understand that choosing the right partner in your recruitment process is a very difficult decision, that’s why our activity is based on experience that comes from our clients. Choosing the right search company for recruitment in Warsaw Poland is of equal importance as you need one which makes the entire recruitment process more effective, efficient, manageable and rewarding. Choosing the wrong search firm will leave you disillusioned and frustrated, costing more time, money and mistakes that one can ill afford. We would like to present to you our company and our services. We believe that our approach and attitude will surpass your expectation and this will be the first step to build a lasting business partnership. 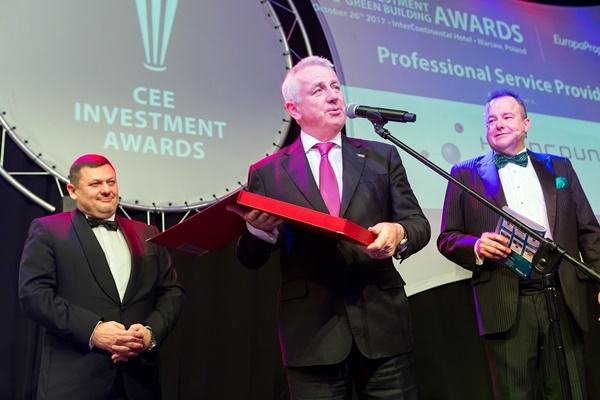 The 7th Annual EuropaProperty CEE Investment and Green Building Awards for investment, development, and business excellence in Central and Eastern Europe recently took place in front of a packed audience at the Intercontinental Warsaw Hotel. 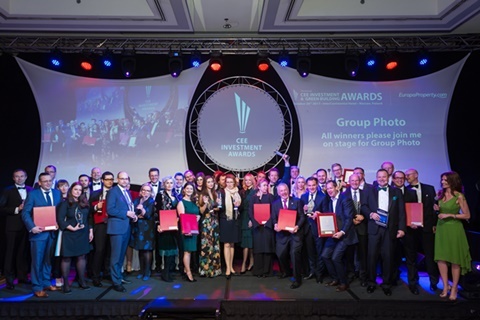 Headcount Solutions were honoured to be shortlisted for the award of Professional Services Provider and emerged victorious in the voting for the award. 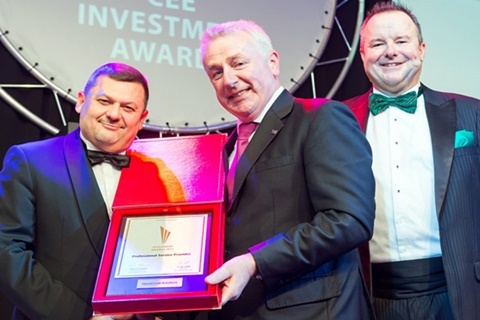 ‘We are both delighted and honoured, to have received such recognition as Professional Service Provider of the Year. We thank the jury, our partners, and especially our clients, for their fantastic and continued support in achieving this accolade. Headcount Solutions Ltd was founded in Dublin, Ireland in early 2005 by three highly experienced professional engineers with extensive knowledge of recruiting, resourcing and managing project teams for the design, construction, commissioning, start up and ongoing operations of process, manufacturing, industrial, infrastructural and commercial facilities. Headcount offers an exciting new alternative principally because of the experience of its key senior players. Stephen Kelly, Rory Devlin andDonal Flynn have been well known and respected names within the design, construction, process and manufacturing sectors in Ireland and abroad over the past twenty plus years. Joining the founding team in early 2006, Seamus Pentony, a highly experienced recruitment professional with over 15 solid years in an International based capacity, has reinforced our market entry in the emerging markets and beyond. Based in our Warsaw office, the team covers the entire region, bringing a depth of expertise, experience and knowledge that positions Headcount as a leader in personnel placement. In business, time is money and Headcount Solutions is a time saver. An agency saves you time because they take care of the beginning steps of the hiring process. In addition to sorting through submitted applications, Headcount Solutions will also have access to the best talent available. This includes access to talent that is currently employed elsewhere. The screening process when hiring has several layers. You need to run assessment on potential employees, follow up with references and conduct preliminary interviews to make sure the candidate matches the promises they make on their resumes. Again, these are vital steps that just take up time when you are conducting them on your own. Headcount Solutions has a proven track record of finding the right employees for the job. When you meet with our narrowed down choices, you can feel more confident with your final hiring decision. Choosing the wrong employee to work for you can cost you even more time and money down the line. Working with a recruiting agency will help make your decision feel more assured. Once you have developed a relationship with Headcount Solutions and we gain your trust, your future staffing will go even more smoothly. We will be fully aware of the qualities that it takes to make the right fit within your company and what you expect from them. All our recruitment activity is based on competency based interviewing techniques which we have developed internally to align with the Headcount corporate Value System. These can be readily customised to suit any particular set of client values with candidates assessed against these. Developing a competitive market search specification that will attract the very best candidate. Knowledge of the marketplace allows monitoring employment trends. The consultant agrees with the client what information, and at which stage of the recruitment process information can be passed on to a candidate taking part in the selection process. Detailed analysis is undertaken of your company, competitors and the marketplace to allow us to develop a process which will lead to a successful placement. Based on your needs and our research, Headcount will identify the best potential candidates for the search. Suitable candidates are found by using our in-house database, advertising where appropriate as well as headhunting and direct search techniques. Detailed interviewing processes allow us to evaluate the best talent in the marketplace and match that person to your needs. We also evaluate the cultural fit between company and candidate as well as the long-term compatibility of both the candidate and the client. Headcount provide the client with a detailed summary of the most qualified candidates. Only the best available candidates will be presented to the client during the longslisting and shortlisting processes. On request, Headcount will undertake a process of checking references which is both rigorous and confidential. This ensures that your candidates are the finest available. Headcount will support the accepted candidates transition by organising all required documents as well as helping in salary negotiations if required. We also solicit and evaluate feedback both from client and the employee after an initial probation period. The client recieves a specific guarantee. Headcount is obliged to present, free of charge, new candidates for the position, being the subject of the rendered service, in case the client resigns from employing a candidate taken on as the result of the service (within reason), or the candidate resigns from employment with the client. 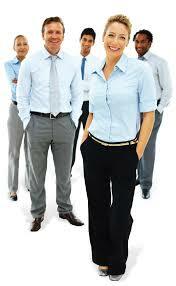 Headcount Solutions is commited to providing both our clients and candidates a professional and confidential service. Our ethos is to do our best for both clients and candidates and this is proven by the many international companies we have worked with and C Level candidates we have placed and helped to progress their careers. We are highly experienced in the professional qualifying of candidates to meet stringent international performance standards. Our execution follows a clear procedure which has been developed by our own professional in house HR function. Quality of our service is based on our commitment to personalize our service, confidentiality and maintaining the most ethical standards. Instead of Recruiters, Headcount is run by experienced sector specific experts who have years of hands on project and operations experience. We work closely with clients to determine the exact qualifications and skills needed in a prospect and we interview candidates extensively to ensure their experience and needs are appropriate for the job and culture offered by our clients. We ensure that candidates provided, meets the client objectives because the requirements specifications will be understood in detail. We understand that every search is different as are each client’s hiring needs.